Mandvi or Madai as is known locally is located on the banks of the Rukmavati river, that meets the Arabian Sea in the Gulf of Kutch. Mandvi is south-west of Bhuj and was established in 1581 AD by Rao Shri Khengarji, the first Jadeja ruler of Kutch. Mandvi was originally a fortified town having a fort wall of about 8 m high and 1.2 wide stone masonry. It also has a 400 years old shipbuilding center. During the maritime trade, before the arrival of steamboats, Mandvi was a rich and prosperous town which earned four times more revenue from export than import. Mandvi was a town of merchants and seamen, both mutually benefiting from each other. 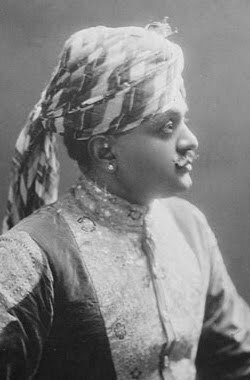 In the 18th century, Rao Shri Godji built and maintained a fleet of four hundred ocean-going vessels, including one that sailed to England and back in 1760. The Mandvi merchants established the trade with East Africa, Malabar and the Persian Gulf. In the early 19th century, it was a major port of entry for the inland trade with Malwa, Marwar and Sindh. 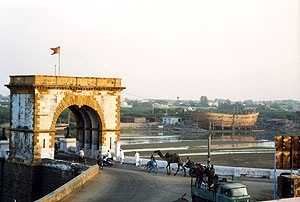 Mandvi lies at the junction of two famous trade routes, the maritime spice trade route and the desert camel caravan route, thus acting as an important trade centre. The Vijay Vilas Palace, built by Yuvraj Shri Vijayrajji is the summer retreat of the Maharaos of Kutch and is set in the middle of well laid gardens with water channels and marble fountains. The architect and craftsmen from Jaipur designed and constructed the palace in 1920 AD. The palace has all the elements of Rajput architecture. The central high dome on the pillars, the Bengal domes on sides, the windows with coloured glass, carved stone jails, domed bastions at the corners, extended porch and the other exquisitely stone carved elements, are worth visiting elements in the palace. This is an example of the traditional skill of craftsmen of early 20th century. The Palace has its own private beach, which is maintained in an eco-friendly manner to preserve the natural beauty. On the Palace Estate there is a luxury tented camp resort and an Inn to welcome guests wanting privacy and solitude with nature. Pt. 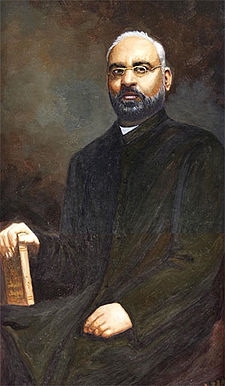 Shyamji Krishna Verma, a revolutionary freedom fighter was born in Mandvi and today the town has a memorial of the India House where he lived in London to commemorate his freedom activities. Mandvi Luxury Tented Camp Resort in the Palace Estate and the Maharao of Kutch's private beach.